For most of my career, if I was up late into the night working at this time of year, it was usually because I had a stack of sixth form essays that had to be marked before their mock exams. It required a fair bit of concentration and so I rarely enjoyed a glass of my favourite wine while working. Coffee to keep the eyes open was the beverage of choice. But times have changed. We love wine and we have a fair few dear friends and family who are passionate about it too. 3D wines contacted us to let us try their rent a vine experience and so, rather than marking, over the last few days I have been trying out some truly excellent bottles – and finding out all about 3D Wine and the Rent a Vine experience. 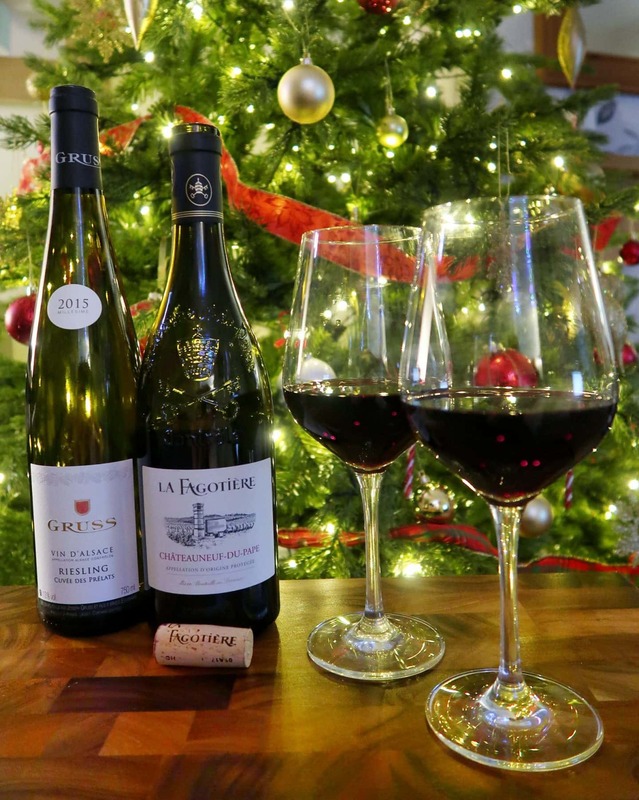 If you are passionate about wine, or you have loved ones who are, a 3D wines membership, or vine rental as it is called, really could be the ultimate gift for them. 3D Wines started out as a hobby for its owners, 25 years ago. 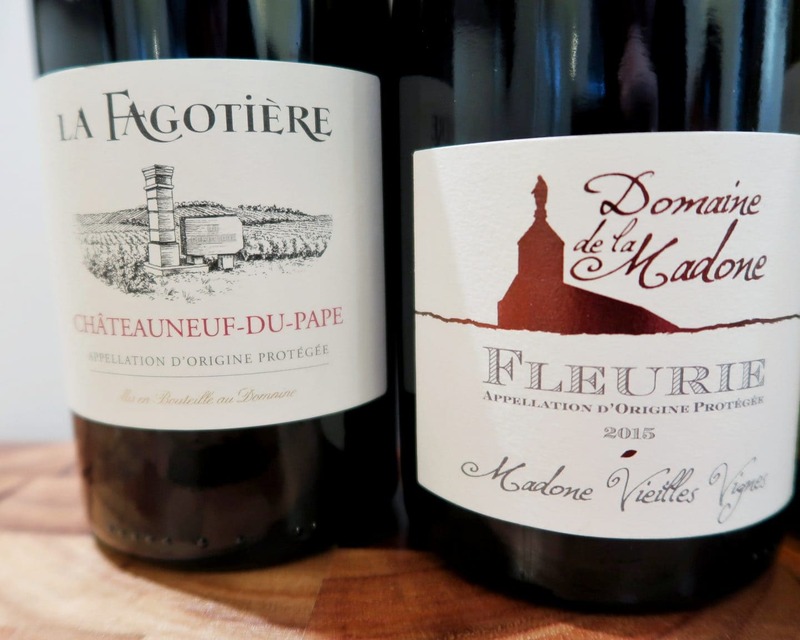 Friends and family loved the wines they brought back from France. They chose great wines, from small passionate producers, from all corners of France. The demand for their choices was huge and they found themselves regularly travelling and filling up the car! They set up a business which was featured on the BBC Food & Drink programme in 1999. 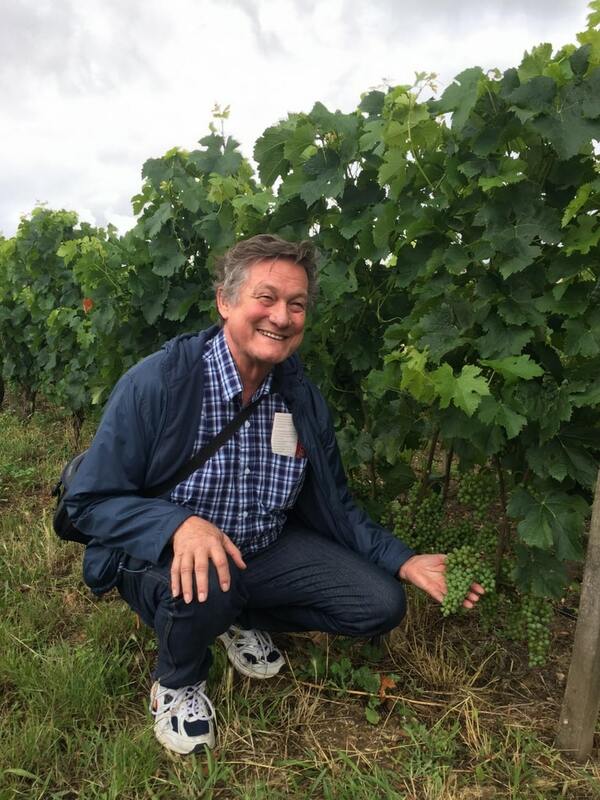 Oz Clarke even came on one of their grape picking events in the Loire Valley. 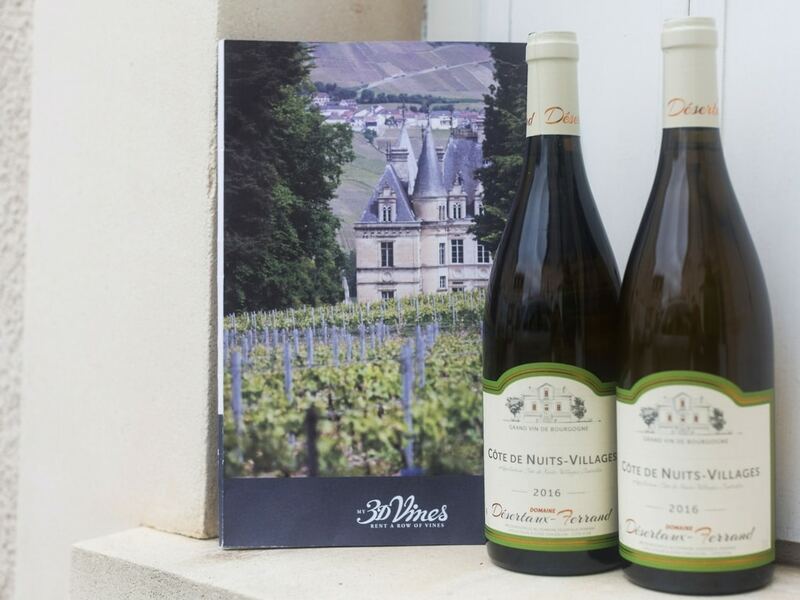 They have been championing award-winning French wine, and providing wines their customers cannot get elsewhere, ever since. The ‘3D’ name is based on the belief that drinking wine is about so much more than just the wine itself. French wine-makers, and 3D Wines, know that the wine is all about the experience – the place, the people and the flavours. That is why you get so much more than some amazing wines to try when you sign up. I have to say that I agree wholeheartedly! and Fleurie Vieilles Vignes from Fleurie, Beaujolais. My favourite was the Châteauneuf-du-Pape, a smooth and rounded red wine with delicious hints of plums, red currants and spice. There was also a subtle yet distinctive hint of dark chocolate. However, the wine remained smooth and never bitter at any stage. It was perfect for sipping in front of the Christmas tree on a frosty evening. In addition, the Riesling was fresh, elegant and clean-cut. For me, it had the real zing of citrus fruits and I was delighted when the tasting notes suggested that we should taste grapefruit and peach – they were both fruits that sprang instantly to mind. The final wine we tried was the Fleurie Vieilles Vignes, a lighter wine with a complex flavour, an aroma of red fruits and a satisfying and poised finish. Overall, we spent a very happy few evenings trying the wines and are excited to finish the bottles this weekend. As far as ‘work’ goes, it was certainly a pleasant change from marking! There are currently 9 vineyards/wines for to choose from. During your membership, you’ll be offered an allocation of your wine to purchase – up to 4 cases. Each offering is of your wine-makers latest vintage release. As soon as you sign up, you will receive a welcome pack. By becoming a 3D Wines Partner you will have the option of buying a bottle of your wine with your membership. If you choose this option, 3D Wines will send you an extra bottle completely free of charge. You can also visit your vines and meet your winemaker by booking through the 3D team. If you’d like to visit your vines and vineyard just give them a call and they will help you organise your trip. Meeting the wine-makers and seeing how and where your wine is made sounds like a truly memorable experience. Every year you will receive your vintage tasting notes and a wine option letter, to help you place your order so that you can enjoy the fruits of your vines. There is no obligation to do so, however. 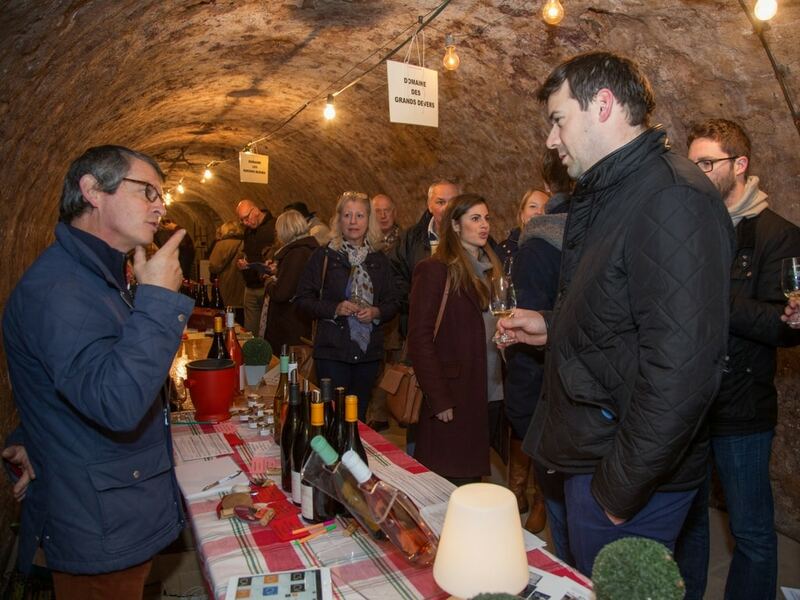 During your membership, there are opportunities to buy many of the other award-winning wines in the range, as well as joining 3D Wines on food and wine events throughout France, Tuscany and the UK. You can collect your wine direct from your vineyard, from a collection point in Calais, or have it shipped directly to your home. If you don’t have time to visit your vineyard, you can arrange delivery to 3D Wine’s warehouse in Calais at minimal cost to you. Finally, the last step is the easy bit – enjoy your wine! 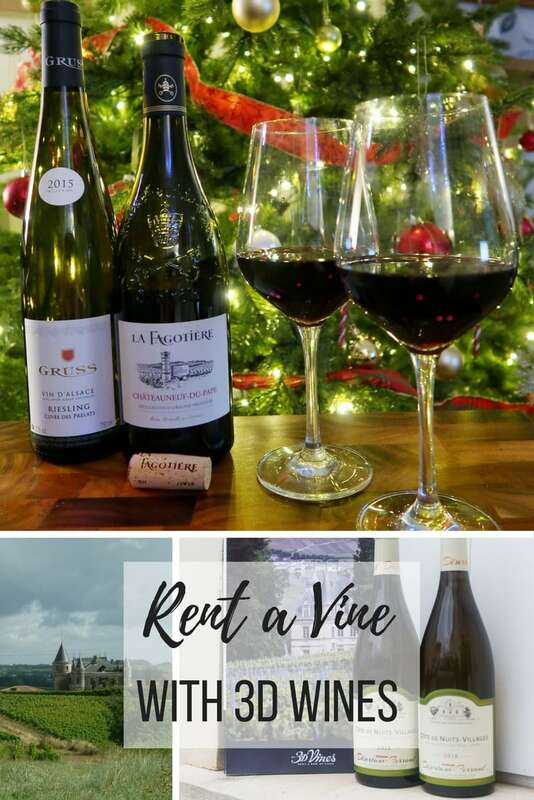 I think vine rental would make an absolutely wonderful gift for the wine-lover in your life – even if that person is you! I certainly have several people in mind who would love this gift over the festive season. The wines were absolutely delicious. I loved the excitement of receiving the pack. 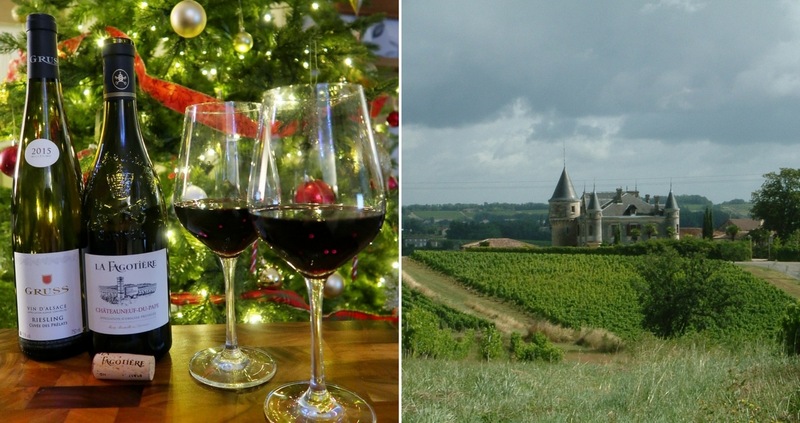 Also, the prospect of discounts on wines and visiting the vineyards is an appealing package. The prices are also very reasonable, starting at just £59.00. If you would like to buy this amazing gift for someone this Christmas, visit 3D Wine’s here in order to see the choice of wines. At the moment they have a special offer available. If you select the 2 bottles option, you’ll get one of the bottles free. And happy (and responsible!) drinking. Please note, this was a paid collaboration with 3D wines. We were sent the wines free of charge for the purposes of the review. However, all words and opinions are my own.